“Once upon a time…” is the new anamorphic mural created by Leon Keer and Massina during Vibrations Urbaines Festival in Pessac, France. 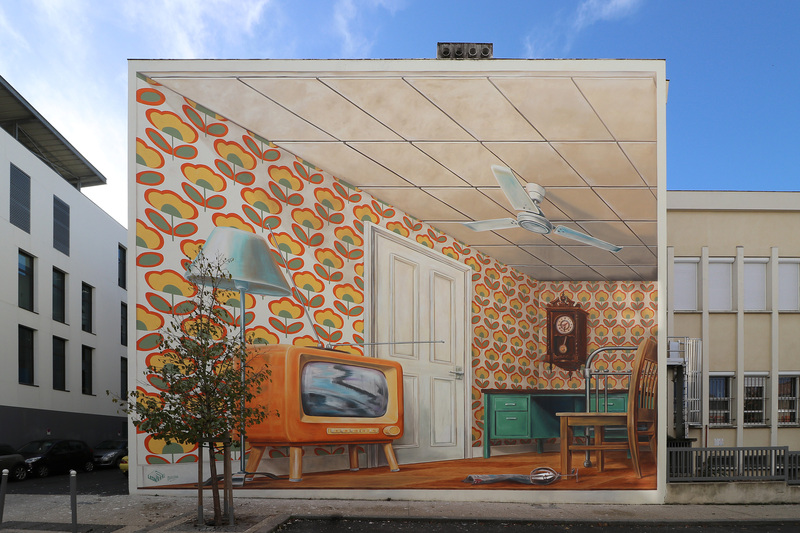 The 3D effect of the mural that is demonstrated in the video above is caused by a technique which is only visible from one viewpoint and utilizes the “Leon Keer” app to augment reality with the anamorphic art. When the painting is scanned with a smartphone or tablet, the painting comes to life with an AR feature created by Joost Spek from 3Dpicnic. If you are not able to view the mural at the location you can also download the image and use it as the marker to start the 3d animation through the “Leon Keer” app.